Forecasts for a slow 2016 real estate season have been greatly exaggerated. Late last year, some financial analysts worried that a rise in the base interest rates by the Federal Reserve would trigger a reversal of fortunes in the real estate industry. 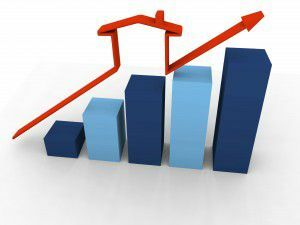 Rates would rise, loans would be harder to get, houses would begin to languish on the market, and home prices would drop. However, that turned out to not happen…at all! Interest rates, while bumping back and forth between a few fractions of a percentage point, are still holding below 4 percent, despite the quarter percent rise in the base rate the Federal Reserve implemented in December. Current home-for-sale inventory in the Santa Clarita Valley rests just under 500, far below what would be considered a “normal” inventory level. What does this mean for home owners? If you’re considering selling your home, you’ll have an incredible shot at bringing more qualified buyers into your home due to the lack of competition from similar homes. More buyers may mean more offers, which can put you in control of reaching your real estate goals. Montemayor & Associates are a team of highly trained, licensed, full service Realtors ready to serve the needs of home buyers and sellers in the Santa Clarita Valley and surrounding communities. Contact us today for a no obligation consultation, and let us help you achieve all of your real estate goals.